Song Min Ho described his relationship with Yang Hyun Suk. On December 14, Ilgan Sports released the 'Drunk Talk' interview with Song Min Ho. One question for the idol stated, "In one interview, you said Yang Hyun Suk was like your girlfriend." Song Min Ho chuckled, "Yeah," and said, "During my solo album preparation, he gave me feedback no matter how late it was and gave extra attention, so I said he felt like a girlfriend." 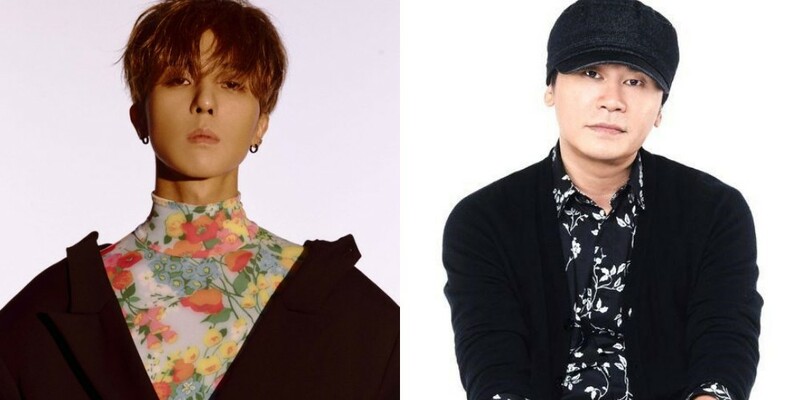 He also expressed amazement at Yang Hyun Suk's health, saying, "Not just me but he takes part in all work until late at night. And in the morning, he asks 'How did the mixing go? ', 'How did this go?' It's amazing how he takes care and controls everything." The next question asked, "Does he still feel like a girlfriend during preparation for WINNER's December comeback?" Song Min Ho replied, "He's my current girlfriend. He will be until the day the song gets released." lol mino what are u saying?